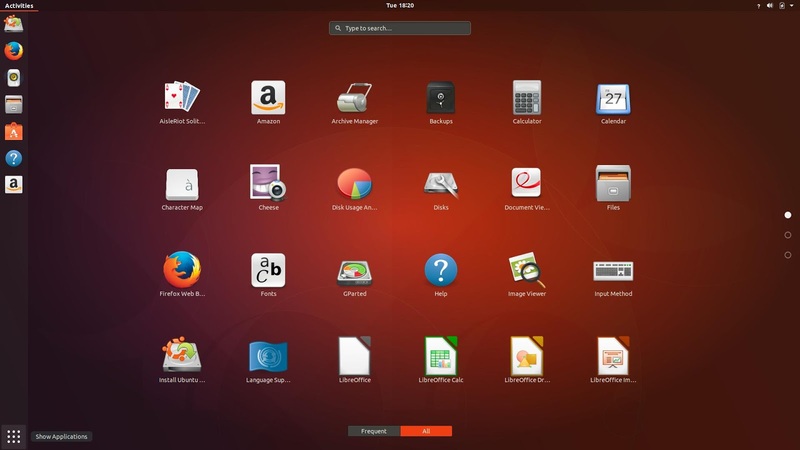 Ubuntu 17.10 is the newest version of this world famous Linux distribution, and this one is especially interesting because Canonical decided to dump its controversial Unity baby and use GNOME desktop environment instead. 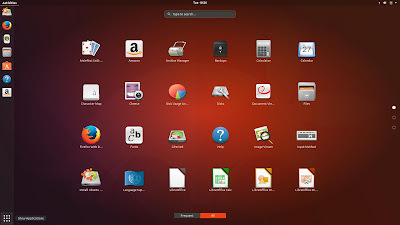 It means that there are no longer separate Ubuntu and Ubuntu GNOME distributions. They are now the same. 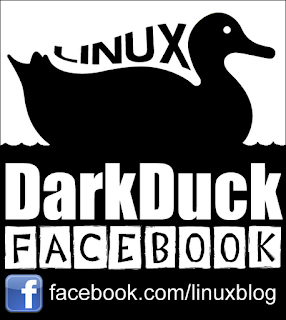 Linux notes from DarkDuck has reviewed the Ubuntu GNOME 17.04 not that long ago. 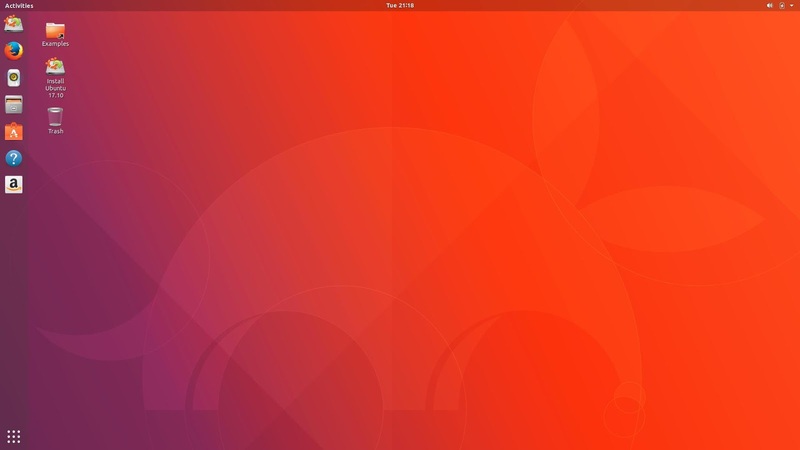 Let's now have a quick whistle stop tour on Ubuntu 17.10 with GNOME desktop environment. 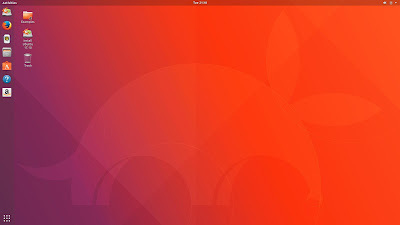 You are met with the famous Ubuntu purple&orange tones of the screen. The Aardvark silhouette is on the wallpaper, because of the version code name. 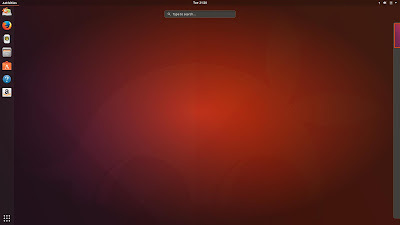 This is a default GNOME look in general. 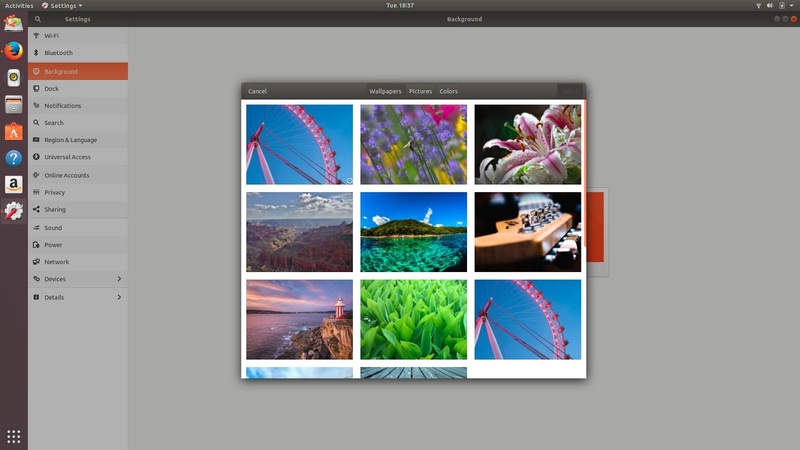 There are panels on the top and on the left, and three icons on the desktop. You can see there are two similar-to-menu buttons on the screen. 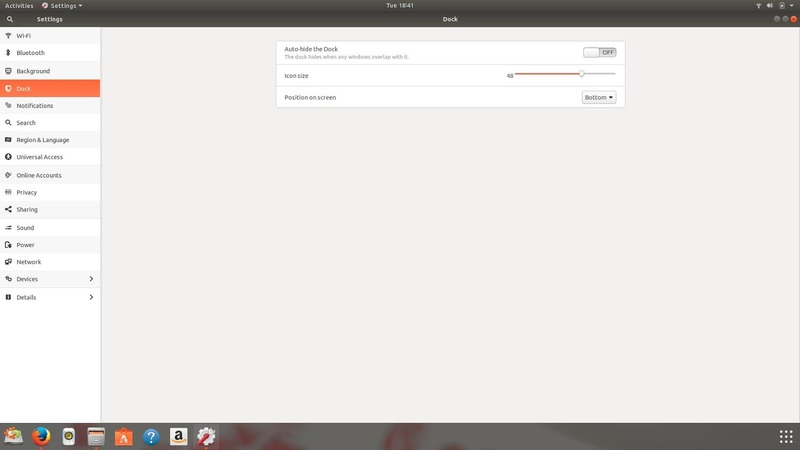 One of them gives you the "Activities" screen with the list of open windows in the middle, search function at the top and a list of virtual desktops on the right. you can achieve the same result by hitting the "Super" (Windows) key on the keyboard. Another [real] menu is called by the button in the bottom left corner. 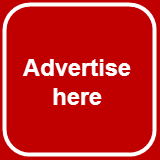 It gives you the list of the available applications. There is no grouping of applications. Just a flat list. There is also the same search function. The list is very short: just two full screens with two applications listed on the third, that makes 50 in total. By the way, the list became even shorter while I was writing this short review. 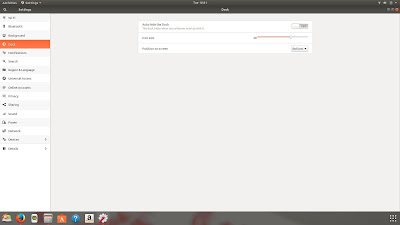 For example, Archive Manager disappeared from the list while was still available through search. This and some other applications were automatically grouped into the "Utilities" folder in the menu. That's very deceptive! 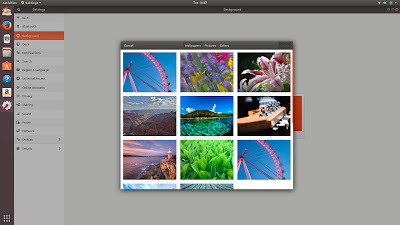 The list of wallpapers in Ubuntu 17.10 is not big, but still gives you a choice of various nice images. By the way, here you find another feature of GNOME desktop environment: you cannot move the baby pop-up window (list of images) separately from the mother main window (Background). They stick together. If you don't like the panel to be on the left, you can move that panel (Dock) to the right or to the bottom through the special section of the configuration. Please note that menu button moves to the bottom-right position of you decide to have your panel at the bottom of the screen. 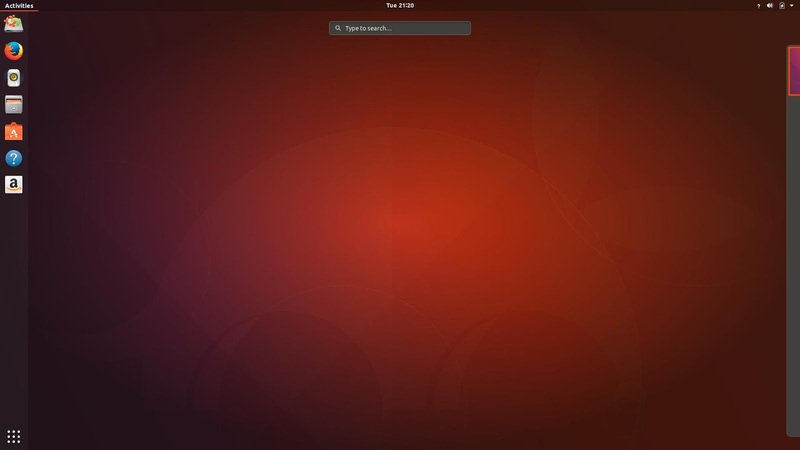 The choice of applications in Ubuntu 17.10 is rather small but decent. Most of the applications are lightweight. I will not list them here, in the short review. Let's leave it for later, when Linux notes from DarkDuck will write a full-feature review of this operating system.